Story: Walt Kowalski is a widower, grumpy, tough-minded, borderline-hateful, unhappy old man who can't get along with either his kids or his neighbours, a Korean War veteran whose prize possession is a 1973 Gran Torino he keeps in cherry condition. 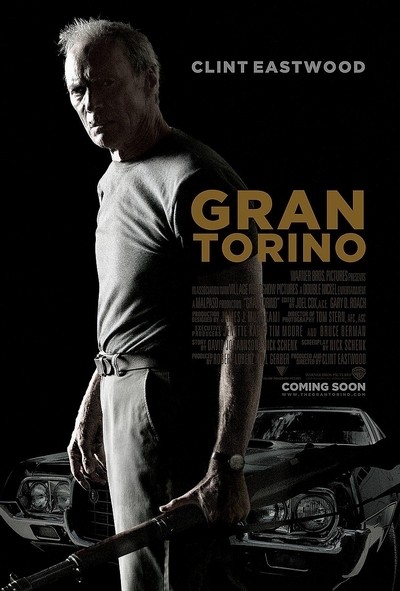 When his neighbour Tao, a young Hmong teenager, tries to steal his Gran Torino, Kowalski sets out to reform the youth. Drawn against his will into the life of Tao's family, Kowalski is soon taking steps to protect them from the gangs that foul their neighbourhood.